There’s a whole bunch of people out there who have titled themselves as ‘productivity experts’. So when it comes to deciding who actually walks the walk, as well as talking the talk, can be a little time-consuming. Ok, so Dr. Andre Pinesett is a medical doctor. But don’t run away with the thought that his advice is only relevant if you’re working or studying in the same field. Because nothing could be further from the truth. His host of videos cover subjects such as creating effective study habits, writing effective reports and statements, balancing work with family life… You get the picture. And hey! Who better than a doctor working crazy hours to give advice on how to make your working hours as productive as possible….? The short videos make her the ideal expert to follow, because you can simply tune it to her wise words over a coffee. There’s no need to sacrifice a whole lot of time to benefit from her expertise. Tracey Gritz is a relative newbie into the world of productivity expertise. But by newbie, we mean less than a decade! It was when life served her a bum deal that she delved more into learning how to combine productivity with leading a happy, contented life. And boy! Does what she say make sense. If you want a no-nonsense, down to earth expert who says it as it is, then Gritz’s channel is one for you. 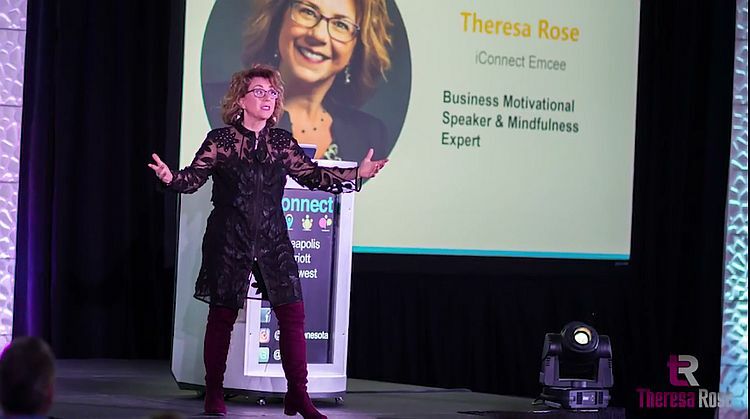 Award winning author and expert on mindful productivity expert, Theresa Rose, is one of the most charismatic speakers out there. Her words resonate for both individuals and teams – and in addition to her YouTube channel, she also has an excellent blog that you can follow. Rose is the perfect inspirational expert for anyone who wants to boost their bottom line in addition to enjoying their life to the full! Peggy Duncan has a really prolific channel that concentrates on how regular folks can easily carry out computer related issues in super-quick time. After all… How many of us have wasted countless hours trying to work out how to make the darned computer do what we need it to do? The videos on her channel are short, sweet, and succinct. Nothing’s over 4 or 5 minutes, and many are only a minute or two in length. So not only do you benefit from the information there, it only takes a couple of minutes to learn it. Awesome…! Under the name of, The Productivity Experts, Cathy Sexton’s channel provides productivity advice and training to anyone who needs to improve their working life. She’s a champion of managing to ensure that your working hours are as productive as possible, ensuring that you can then reduce daily pressures and spend more quality time with friends and family. At first glance, you might not thing Tai Chi expert, Gad Levy, has anything to do with productivity. But that would be a big mistake. The thing is, the whole basis of being as productive as possible in your working life is down to your inner well-being. Levy offers some wonderful information that prove this over and over again. He also has a channel that focuses on the subject of the Chinese Internal Energy Arts, called Winner TV. And before you think that spending time each day practicing what is an ancient, traditional art is a waste of time, think about the millions of people over the years who’ve put aside a few minutes each morning to ensure that they’re in the right frame of mind to be productive. This is the ideal channel for anyone who’s a team leader, or for those in sales and marketing.